After many iterations and much playtesting, Paradise Lost has finally hit Kickstarter as of today! So, a number of months ago I was approached by Phalanx Games to rewrite the rules to Hannibal & Hamilcar. I’m please to announce the task is about 99% complete…and we want to find out what people think! Gencon this year was awesome. I ran 3 sessions of the new Legend of the Five Rings RPG for Fantasy Flight Games and it was great. If you have a chance to play the Wedding at Kyotei Castle, I recommend you take it! I was also there in a press capacity for blogcritics.org, perusing the Exhibit Hall and First Exposure Playtesting Hall for games to write about. 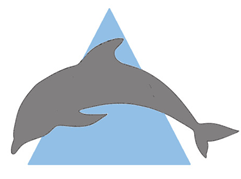 I’ve been asked many times why I chose ‘Grey Dolphin Games’ as the name for my company. Okay, bad jokes aside, the inspiration actually came from two very specific individuals, one of whom has been a fixture in my life for many years while the other has appeared only recently. Phalanx contacted us a while ago regarding writing new rulebooks for the 20th anniversary edition of their classic game Hannibal and Hamilcar. Okay, I may have exaggerated on that last one, and I may have a little bit of bias since most of the designers who contact me are looking for help with their rules, but it still stands that your rules are an incredibly important part of your game. Arguably the most important, because you need to have a way to explain to your future players how all these little bits in a box work together. Below is a generalized look at how I approach the daunting task of writing rules. Update 2: Campaign ended! Thanks for all your support! UPDATE: Campaign has just added 2 more bonus solo games as stretch goals. Yes, it may be heating up outside, but let me tell you about this “cool” little project from 25th Century Games. This fun little game comes with gorgeous, colorful cards in an awesome little box that looks like a box of Christmas Lights! It comes with rules for a main game, plus extra rules for 9 bonus games! You can even make up your own! What’s that? Christmas in July?! The project is up on Kickstarter now with delivery set for before December 25! And its small size makes it the perfect stocking stuffer.